Welcome to Live Oak Landscape Group. 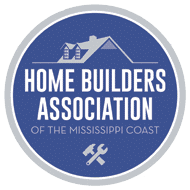 We specialize in residential and commercial landscaping in Gulfport, MS. We design and build innovative and traditional outdoor spaces of style and character throughout the Mississippi Gulf Coast region. With many years’ experience in landscaping, we take our clients’ outdoor areas and transform them into beautiful extensions of homes and businesses. As landscaping specialists, we are passionate about making your home beautifully unique while adding substantial value to your property. Our team of experts specializes in landscaping designs and installation and has extensive experience working with homes in Mississippi and along the Gulf Coast. At Live Oak Landscape Group, we strive to make sure your renovation is transforming, innovative and everything you imagined it to be. Our qualified team of landscapers will advise you on how best to proceed with revamping your outdoor space with minimal disturbance to your lifestyle. We can transform any outdoor area into a space that exudes luxury and style. Landscape design is as much a science as it is an art form. Hence, it requires years of training, expertise, and experience to apply the best landscaping practices. At Live Oak Landscape Group, we work with the clients, and where necessary the architects, and builders to create home sanctuaries. At Live Oak Landscape Group, we work with clients to ensure landscapes synchronized with your home’s design. Whether you aim to achieve a botanical beauty or a chic, contemporary outlook, we will work with you to create an attractive landscape. We offer our clients significant insights to complement their lifestyle and also make the most of their beautiful surroundings. At Live Oak Landscape Group, we are committed to the crafting of individual creative outdoor spaces in contemporary or traditional styles to suit small or large areas. We know that quality landscaping begins by having a holistic approach when designing your space — we that all elements work in harmony and complement each other. From designing the layout to installing the final touches, you can count on us to take into account every single detail to create a beautiful, unique and captivating space. All our landscapers are fully trained, licensed, bonded and insured for both their personal safety and your piece of mind. We have the expertise to create perfect outdoor spaces to fetch both aesthetic and monetary value. We undertake all our projects with meticulous attention to detail at every stage of the construction to provide the highest quality workmanship you can rely on. Our bright and dynamic designs can turn even the most run-down areas into oases of luxury. We believe that outdoor spaces should be designed to fit naturally into your way of life. Whether you are looking for a touch of intricacy, a traditional style or a contemporary makeover, we got you covered. With Live Oak Landscape Group, we come with a personal touch and have a knack for getting to know and understand what your needs are. We take the time to explain our entire process to enable you to make informed decisions. We strive to produce gorgeous outcomes, matched precisely to your unique, stylish designs and needs so that you enjoy an outdoor space that enriches both your home and lifestyle.